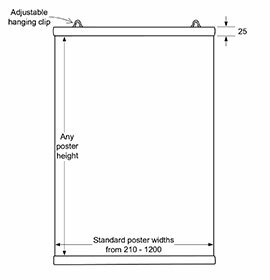 Description All your Poster Clamp will be sent as individual units by parcel delivery. 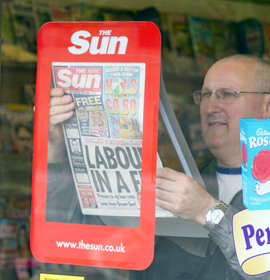 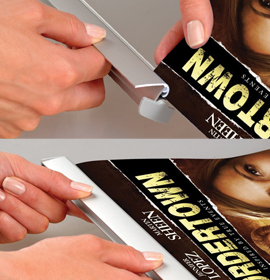 Your Poster Clamp will be sent in two separate deliveries – one by pallet, one by parcel. 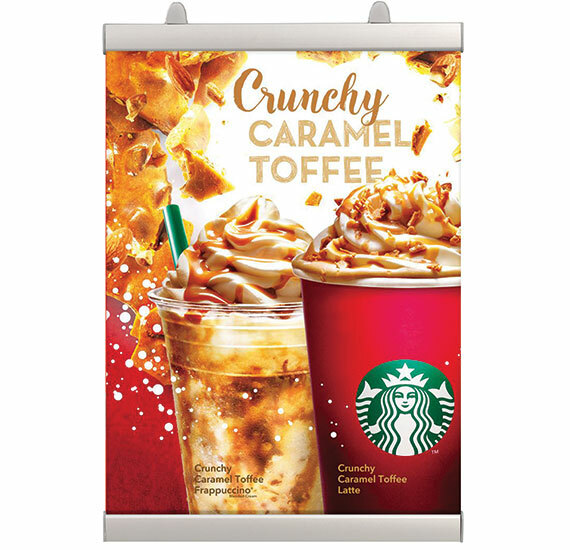 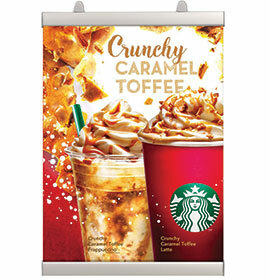 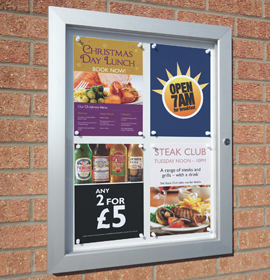 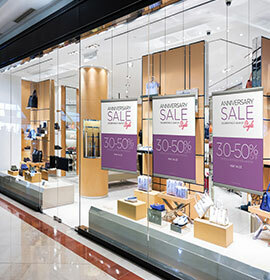 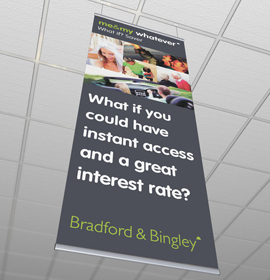 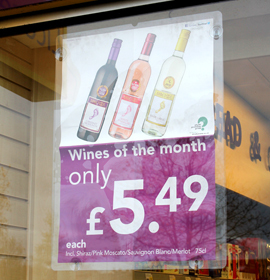 Ideal for large/heavy weight posters, banners and textiles up to 500 micron thick. 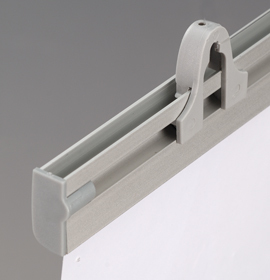 Each set consists of a pair of two part 25mm aluminium rails. 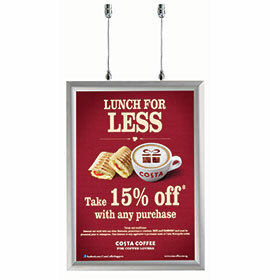 Ideal for wall mounting but can be suspended for window display and is also ideal for large, heavier weight ceiling suspended banners.